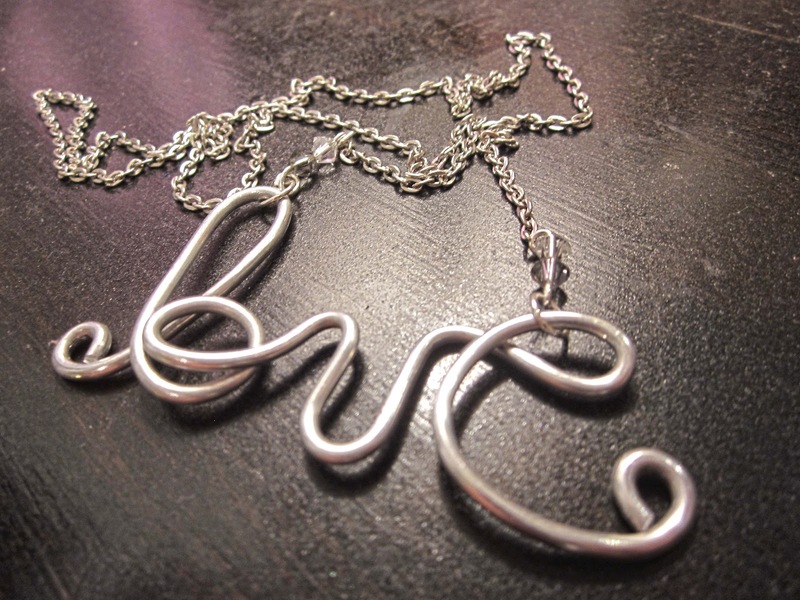 I first stumbled across this 'Hello Necklace' on Etsy.com, and it was love at first site. It's funny how being in love suddenly makes you love everything. I work part time at a local arts & crafts store teaching acrylic painting classes and jewelry classes (not at the same time, but that would be interesting). So when I came across some lovely 12 gauge aluminum wire one day, I happily picked it up and stashed it with the rest of my hoard of art supplies (don't tell S - I want him to marry me despite needing an entire room for art). Creating this necklace was surprisingly easy. I had a small package of Swarovski crystals, as well as copious amounts of jump rings. Way too many jump rings. Jump rings coming out of my ears. I really need to stop buying jump rings. I like using round nose pliers when working with aluminum wire because it dents so easily, but I also used plain pliers for attaching the jump rings. Attaching the jump rings was easy, and to that I looped some eye pins on which I strung the Swarovski crystals. Necklace chain is easily found at department stores, craft stores, my basement, or repurposed from an existing necklace you aren't crazy about. I personally like that last option - it saves me from accumulating too much jewelry. The final product was everything I hoped for and more. A fabulous present for someone? Perhaps I should make a matching set for my fabulous future Bridesmaids? 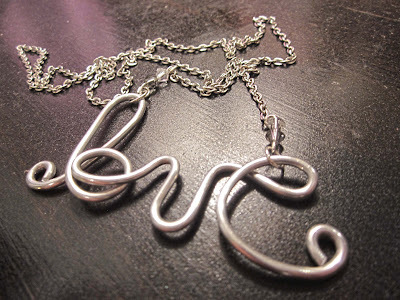 And - when I get over this overwhelmingly loving mood, I really must make that Hello necklace.